A Bulawayo man assaulted and almost burnt his wife with a “burning” tyre after accusing her of stealing his satchel. 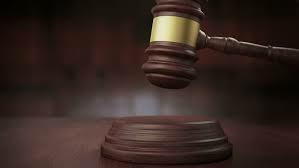 A court heard Shawn Granger whose age was not mentioned in court assaulted his 29- year-old wife Ms Shelter Sibanda with fists and almost burnt her. Granger pleaded guilty to a domestic violence charge when he appeared before Bulawayo magistrate Mr Usheunesu Matova who remanded him in custody to today for sentencing. The court heard that Granger went home drunk and Ms Sibanda refused to help him walk to the house. When he fell on the ground, the wife took his satchel into the house and left him outside. When he followed her, Granger assaulted her accusing her of stealing his satchel. Mr Nkathazo Dlodlo, for the state said this happened last month. “On November 24 this year at around 3AM in Famona, Bulawayo, Granger asked his wife to open the gate for him. He asked her to help him walk to the house,” said Mr Dlodlo. After a while, Ms Sibanda went back outside to check on her husband. Granger then followed her and started assaulting her accusing her of stealing his satchel. Mr Dlodlo said Ms Sibanda tried to run away but was overpowered by her husband. The court heard that she tried to lock herself in their house but Granger put a tyre around her neck threatening to burn her. She managed to escape and went to her sister’s house. “The next day Ms Sibanda reported the matter to the police and Granger received the information.